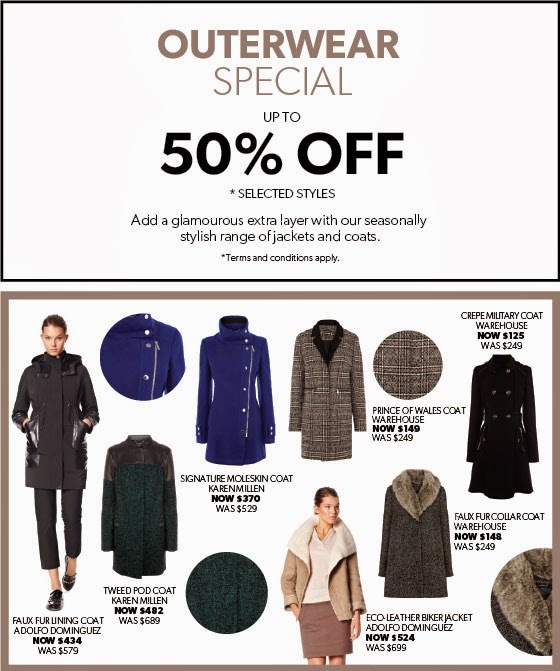 Add a glamourous extra layer with our seasonally stylish range of jackets and coats and travel in style! 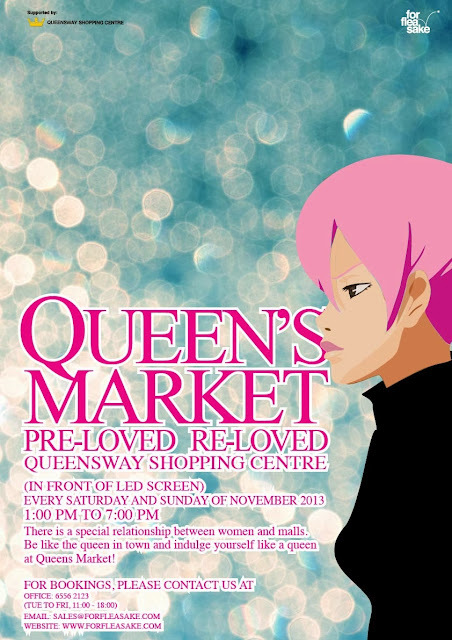 Our outer wear promotion is now on till 17 Nov! 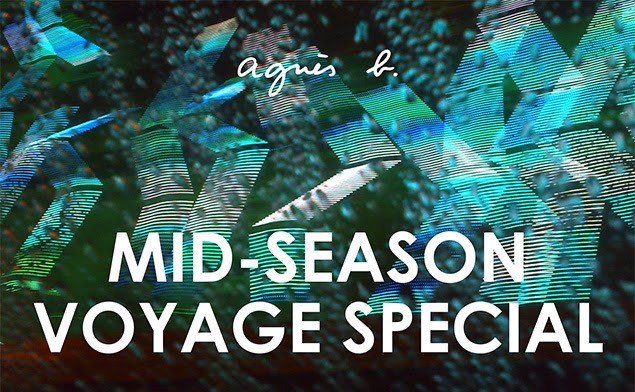 Get them just in time for your winter holiday! 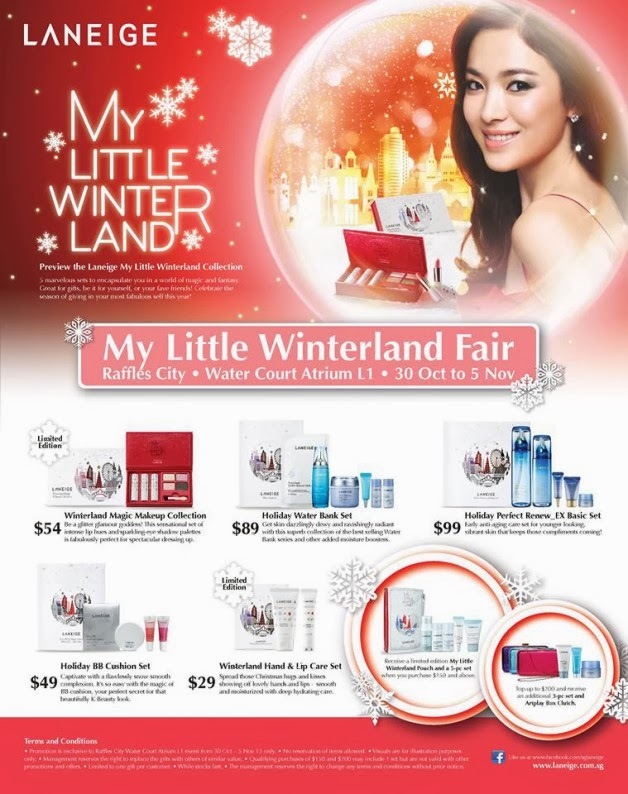 Previewing Laneige My Little WinterLand Christmas sets at Water Court Atrium L1 from 30 Oct till 5 Nov! Visit the Beauty Fair today for exclusive promotions! SALE up to 50% OFF on our outdoor furniture! 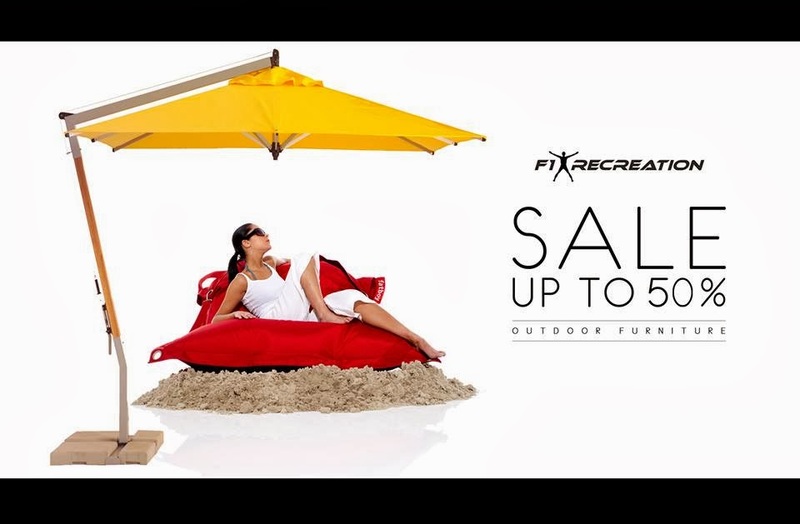 Share this coupon and hashtag #f1recreation to your profile & received additional 5% OFF on your purchase*! 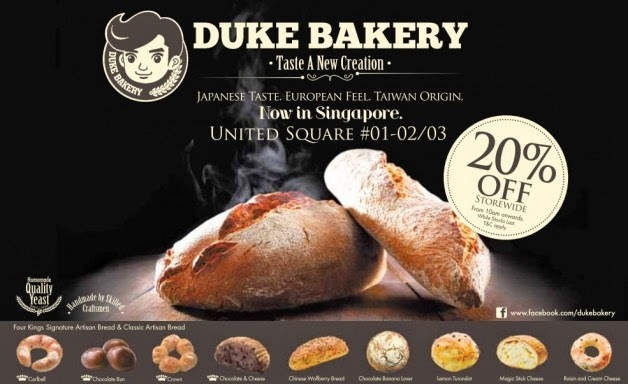 Visit our showroom at 20 Sin Ming Lane Midview City or hit us up at 6846 7666. 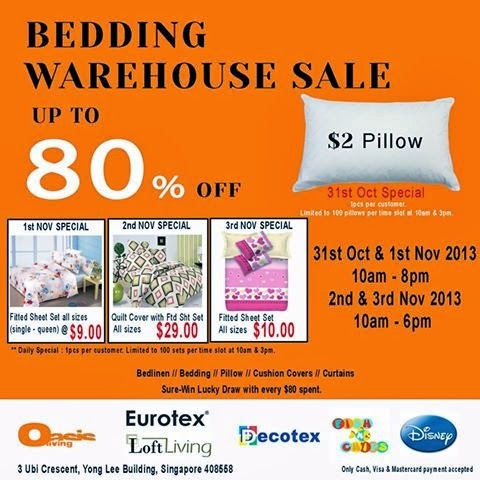 Sale Ends 3 Nov 2013. It's #PAYDAY ! 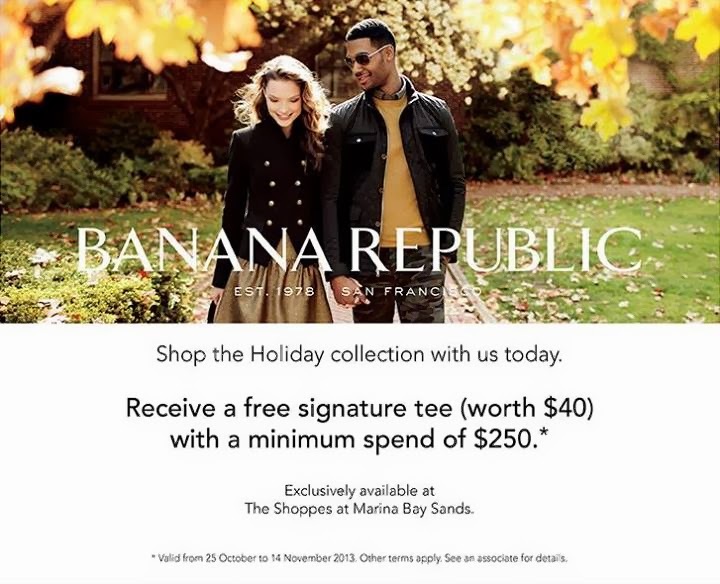 Treat yourself with some new clothes ! 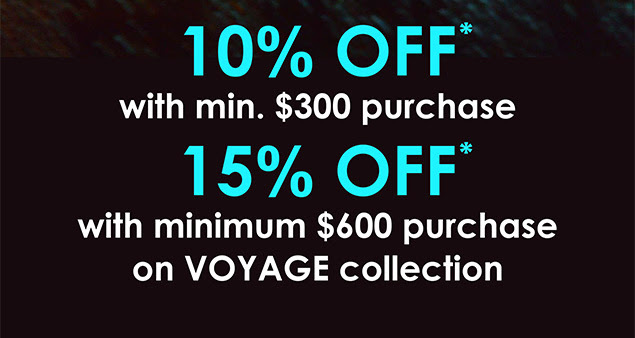 The best part is: the more you buy, the bigger discount you get ! 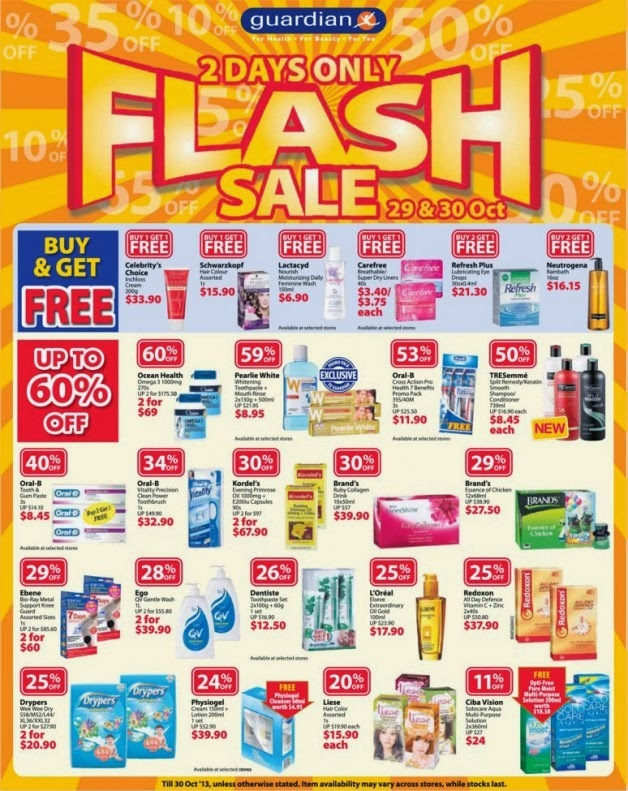 Watsons Card Members, our 1-DAY MEMBERS' ONLY SALE is here and @ more locations for your convenience! 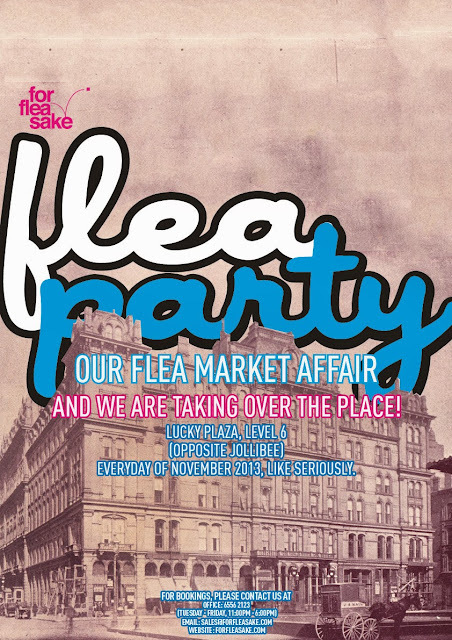 Stay tuned to our wall posts for more updates from tomorrow morning onwards. Not a Watsons Card Member yet? 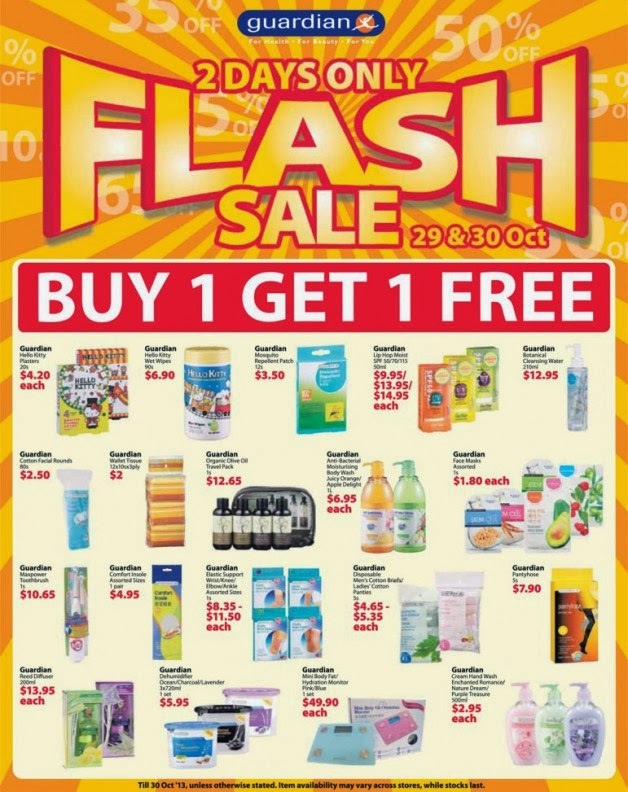 Sign up as one instantly at any Watsons store and you'll gain entry to the SALE! 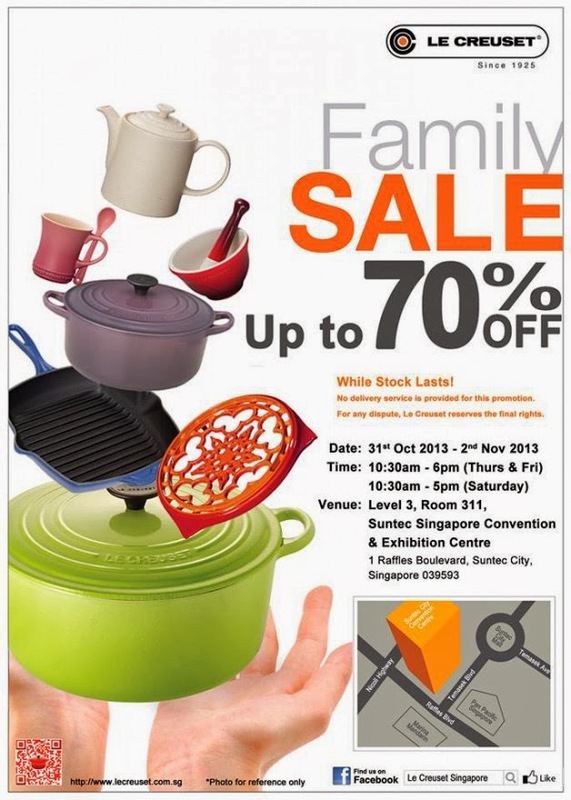 Enjoy 20% OFF Storewide from Mon, 28th Oct to Mon, 4th Nov, between 10am to 9pm daily. While stocks last, so visit early to get your favourite breads! Her Glass Slipper CLEARANCE SALE! Never seen before prices! 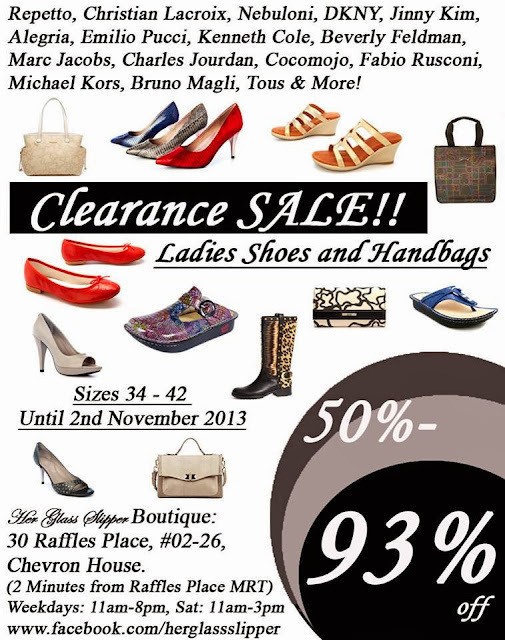 Discounts of 50-93% off all Bags & Shoes! Michael Kors, Bruno Magli, Tous & More. 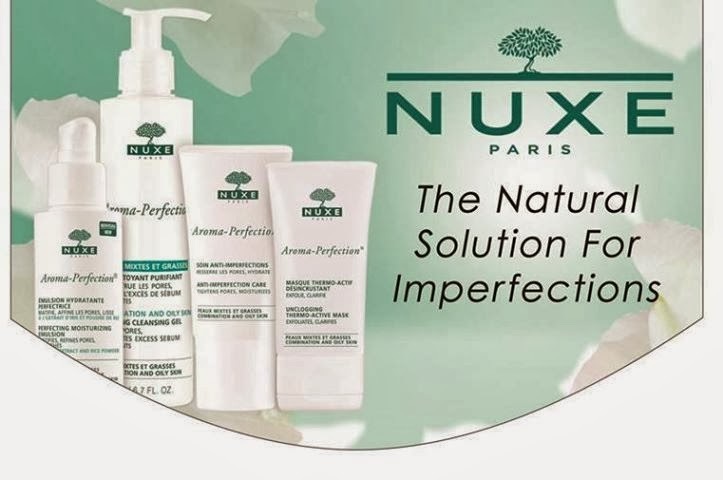 Turn heads without breaking the bank! 30 Raffles Place, #02-26, Chevron House. Stock your wardrobe with shorts in every colour to keep your options open for every weekend outfit! 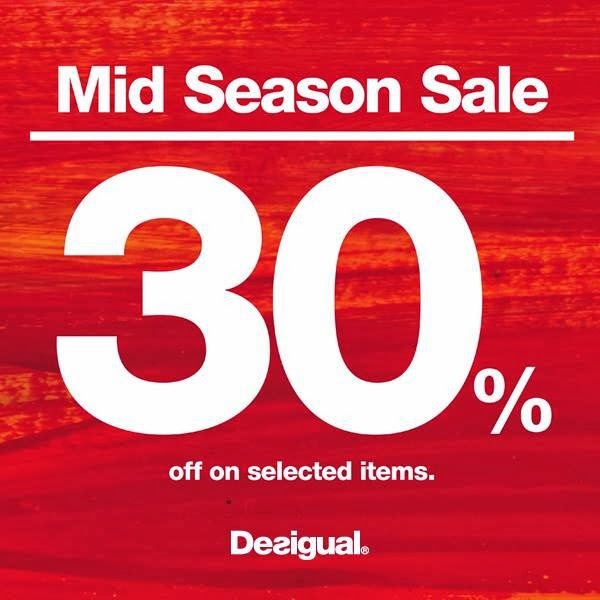 Get them now in our stores for just $29 (U.P $39) in selected styles. 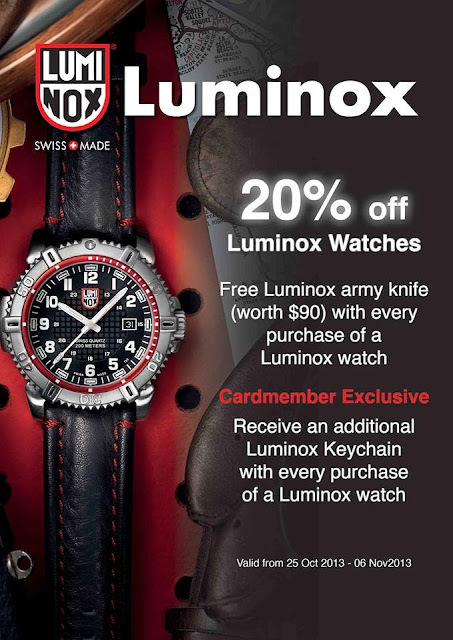 For a limited period only, so hurry now! 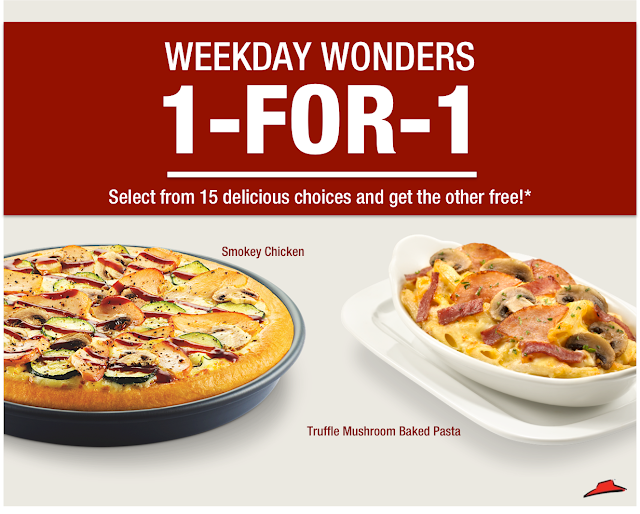 Here's a reason to be glad it's a weekday: you get to enjoy our Weekday Wonders 1-for-1 deal! *Available from Monday to Friday for dine-in only. Free item must be of same or lower value as the purchased item. 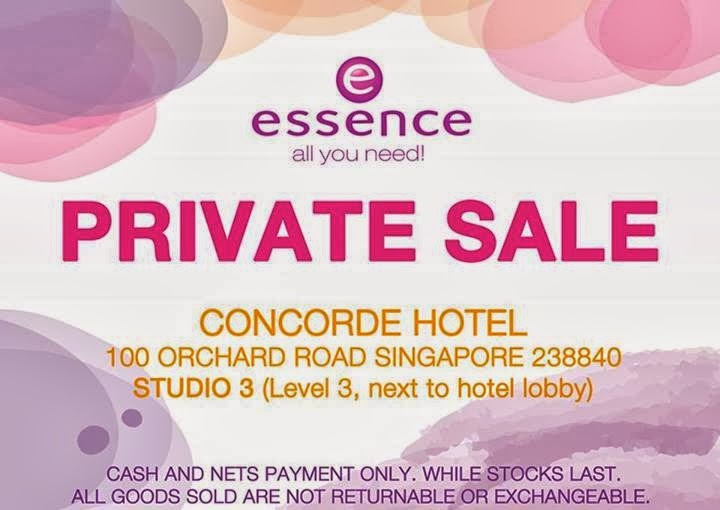 Not available on eves of and on public holidays. While stocks last. 4 days only from 31Oct - 3Nov 2013. 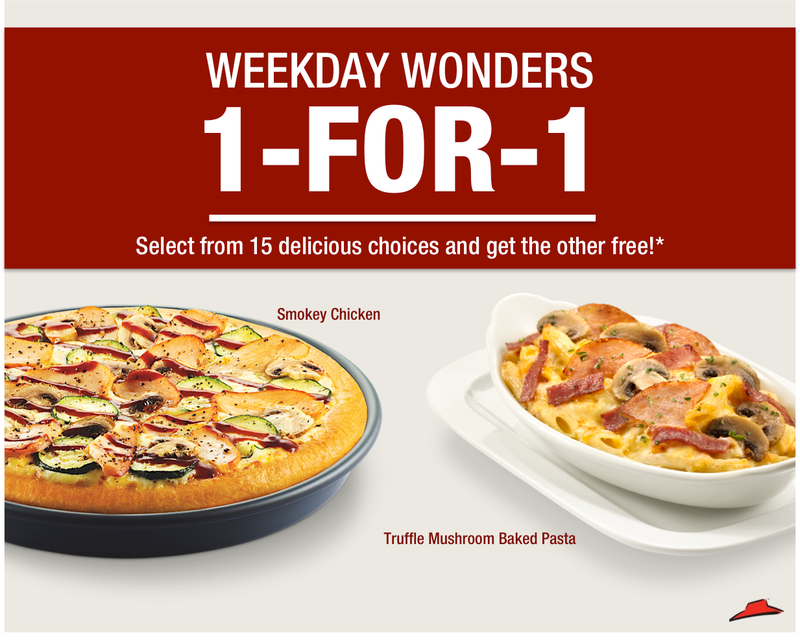 Daily Special buys not to be missed! Limited to 1 piece per customer. 100 pieces available per time slot at 10am and 3pm. 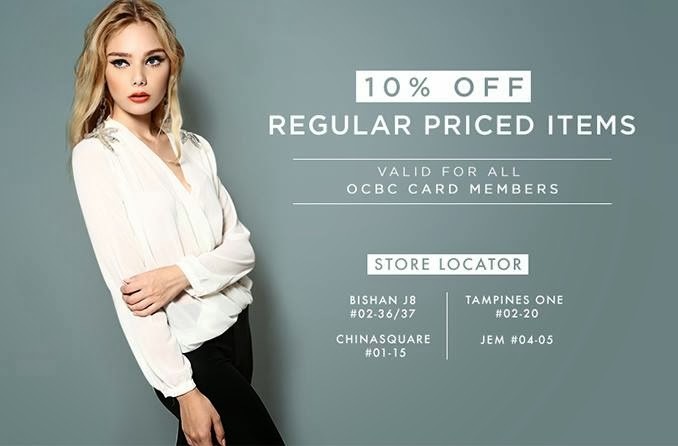 10% STOREWIDE when you use your OCBC Credit Card at all our retail outlets! 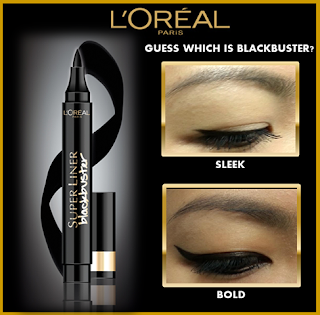 Which of these looks was created with Super Liner Blackbuster? Make a guess! Like and comment with your guess by 10 Nov 2013, and you could be one of 5 lucky fans who'll receive a $50 L'Oréal Paris hamper! Share this post with your friends! 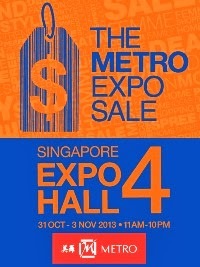 Catch The METRO Expo Sale at Singapore Expo, Hall 4 from 11am until 10pm. 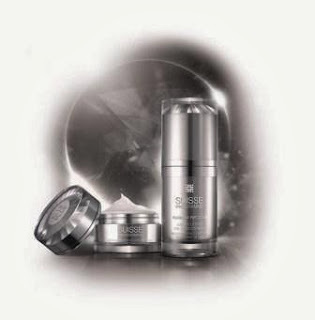 3 lucky fans stand a chance to win the highly raved Suisse Programme Platinum Precious Eye Care Duo worth $570! 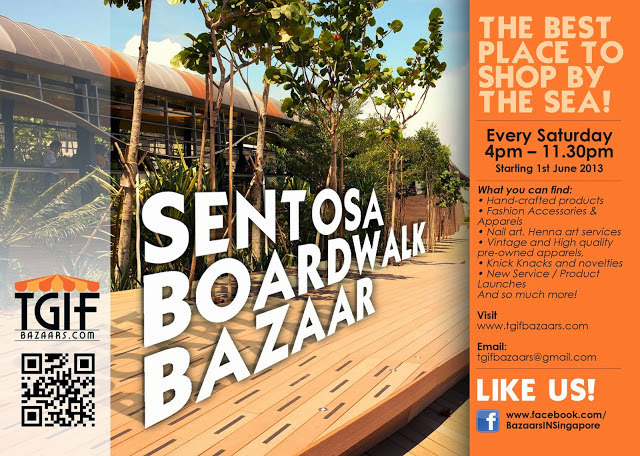 Step 2: Comment on this post with “I SaSa SG” & tell us who is the spokesperson for Suisse Programme Platinum Precious? Step 3: Share this post on your wall with as many friends as possible. 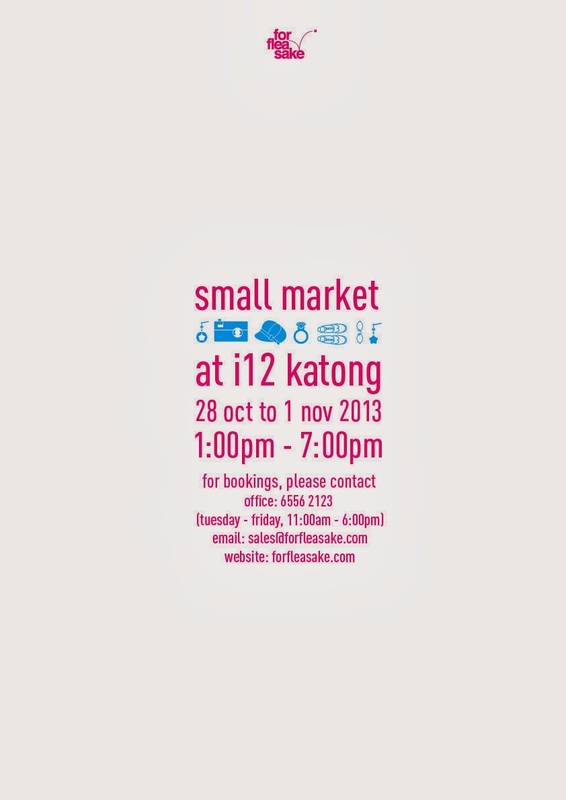 Step 4: Email your 1)Printscreen of shares, 2) Comment, 3)Name 4) IC number to facebook@sasa.com.sg by 1 Nov 2013. 2. Leave a comment on this post and tell us what you'd like to dress up as this Halloween! 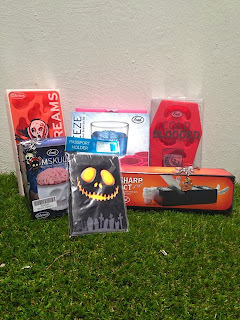 Contest ends on the 29th October 2013, Tuesday at 2359hrs. 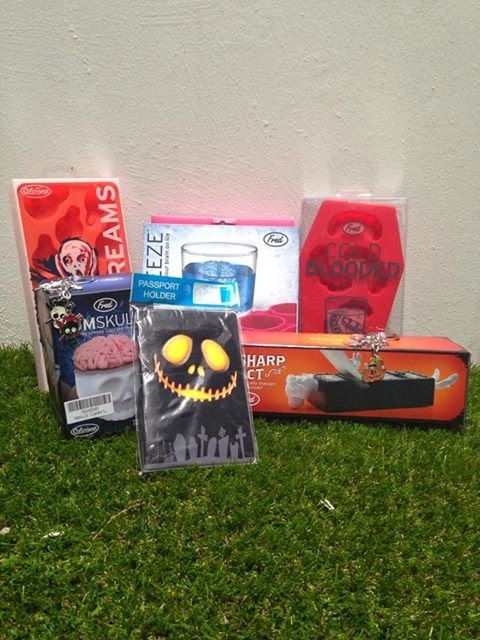 Winners will be announced on our FB Page on the 30th October 2013! For more details about each of these items, visit sg.churpieblogs.com! Vicnity is giving out one Melbourne Black Backpack for real! 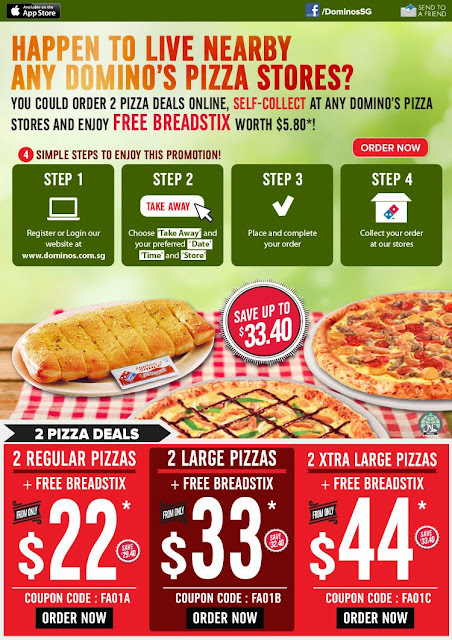 Take it home with you, for FREE by following some simple steps below! 3. 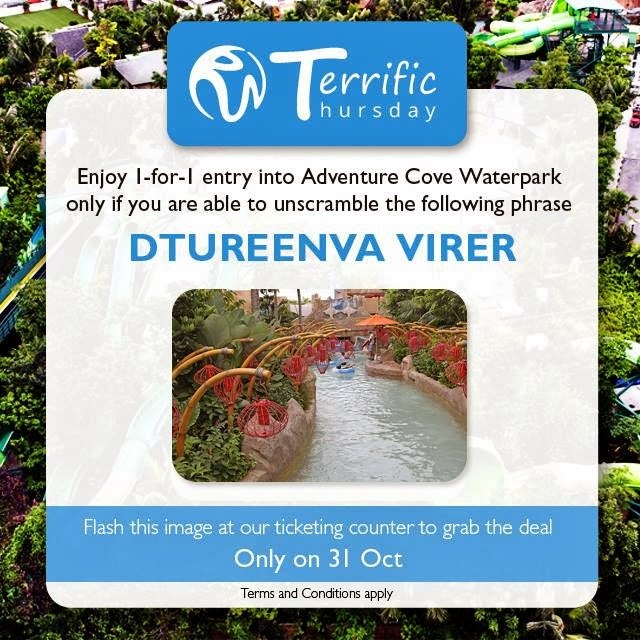 Comment on THIS POST by completing this sentence "This cool backpack will follow me home because ......................"
Contest will be closed on 30th October 2013 at 12AM sharp. The winner will be picked and announced on our facebook page. GIVE AWAY No.4 is Here! 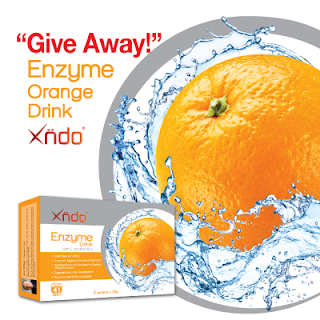 10 lucky winners will win 10 boxes of Enzyme Orange Drink, worth $139.50. Keep your inside clean and cleansed with this refreshing and tasty detox drink. Simply like & share this post with your friends and you will have a chance to be one of the lucky winners. The winners will be announced when we have reached 2500 Likes. 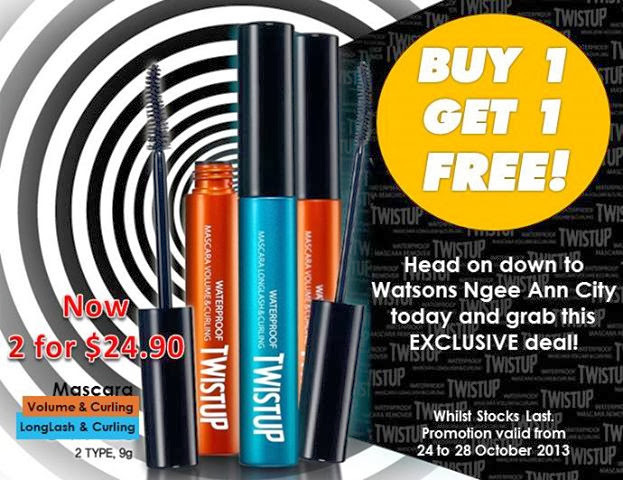 5 days special at Watsons Singapore Ngee Ann City - BUY 1 GET 1 FREE CLIO TWIST UP Mascara! 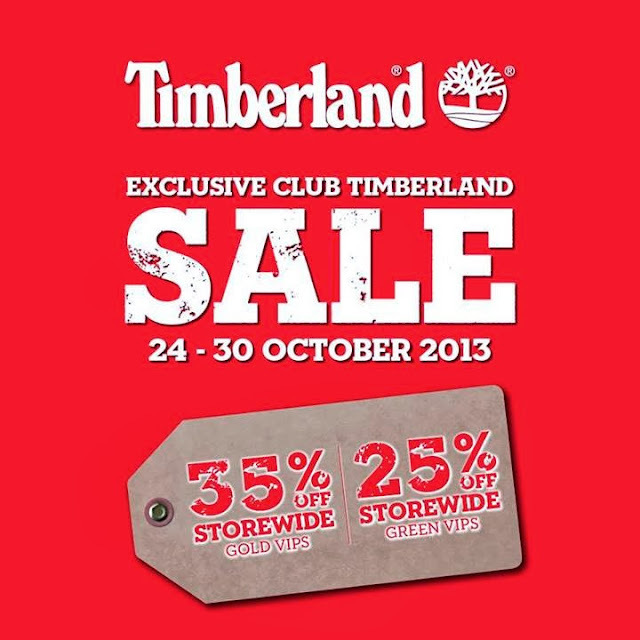 Hurry down from now till 28 October and grab this exclusive deal! Whilst stocks last. 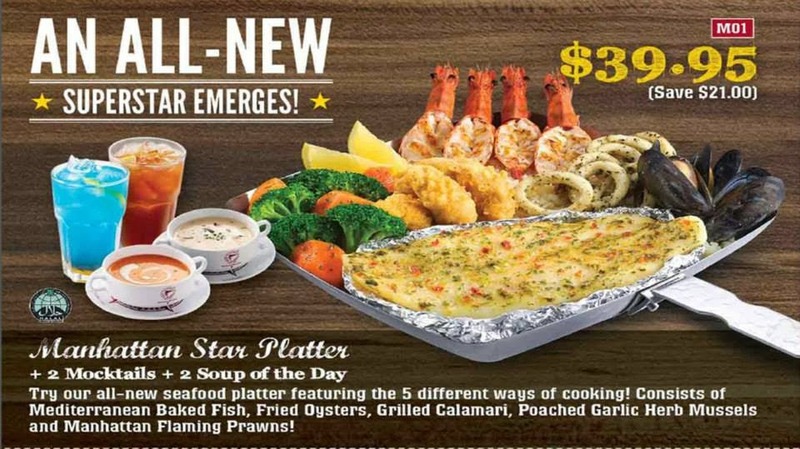 Visit any Pepper Lunch Restaurant outlet today & stand a chance to cop more than $1000 worth of prizes from Pepper Lunch, Hotel Re!, Lenbrook Asia and Hooked! 3) Get all your friends to vote for you! Voters will also be rewarded with prizes too! LIKE, COMMENT and SHARE this post with your family and friends so they can also participate in this exciting contest! *Winners to be announced and notified via Facebook date on 6 November 2013 . This promotion is in no way sponsored, endorsed or administered by, or associated with, Facebook. HAPPY SUNDAY & we bring you sunnier news than the morning itself! Today is the last day to grab those $10 vouchers from the Fashion Agents which means... $10 OFF your shopping! 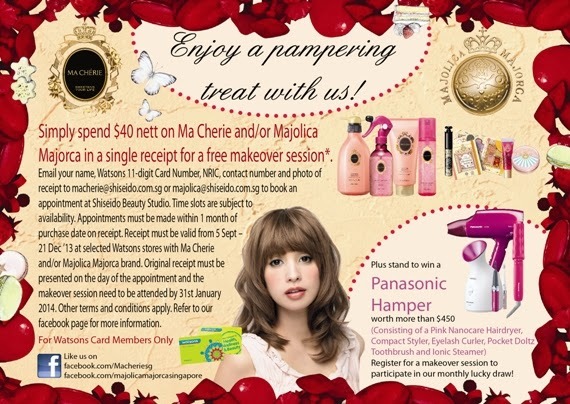 Here's how you can get your free trial kit of Aroma Perfection Range.